Bloggers Beware! The FTC Wants to Regulate Your Words & Your Wallet! The FTC Wants to Regulate Your Words & Your Wallet! Bloggers beware! 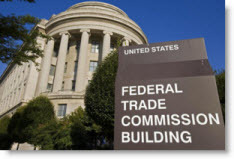 The FTC (Federal Trade Commission) is planning to mandate federal guidelines on any paid reviews posted on your blog. Once their guidelines are approved, bloggers will have to follow the same standards as traditional advertisers. If you're making money through your blogs or Twitter, then you're at risk. If they get their way, the new FTC guidelines could go into effect as soon as the end of this summer. That's not a lot of time, so you need to be informed and prepared! The FTC is a federal agency which protects consumers from harmful business practices and enforces consumer protection and anti-trust laws. They also try to prevent practices of anti-competition via price-fixing and large corporate mergers. So, when did the average Jane blogger all of a sudden become a risk to consumers? Quite possibly when big businesses saw the value of getting blogger support for their products. Big surprise?...not really. Big brother FTC will soon be looking at the reviews or endorsements published on your blog (if they aren't already) - if they believe that you were paid to review a product or service without adhering to their guidelines, then you could face action from the Justice Department or be forced to pay restitution to consumers. After the FTC commission finalizes their vote approving these guidelines then bloggers or micro-bloggers (think Twitter) will be required to provide proof and disclosure for any instance in which they were paid to endorse or review a company's product or service - payment DOES include gifts.